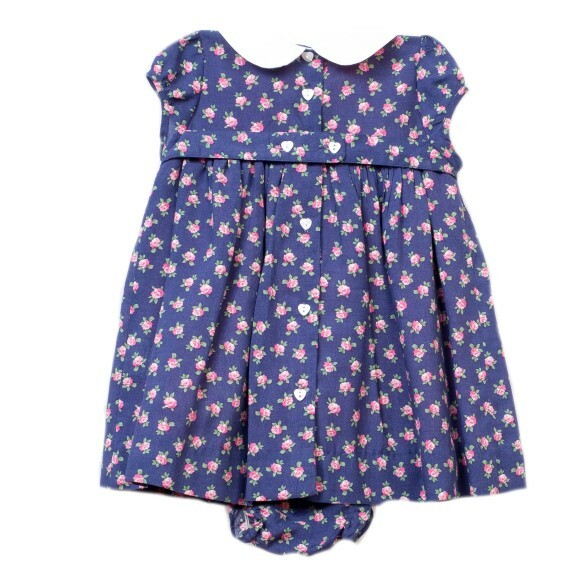 It’s all coming up roses with this gorgeous baby dress. 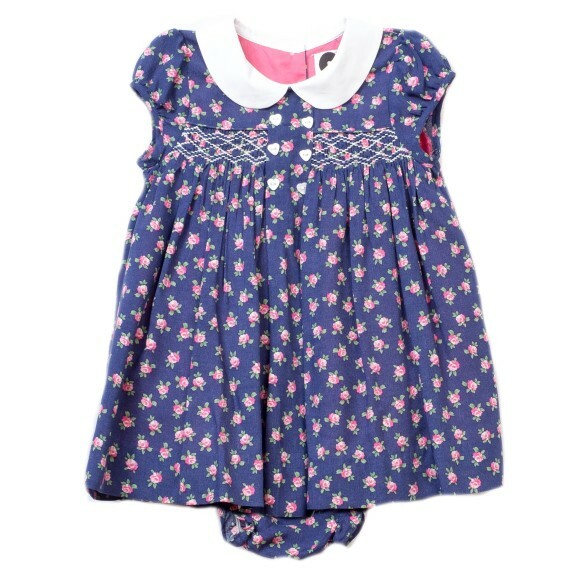 It has cute cap sleeves, a white contrast rounded collar,a pleated front with button detail and hand smocked sides. It comes with a pair of matching ruffled hem bloomers.